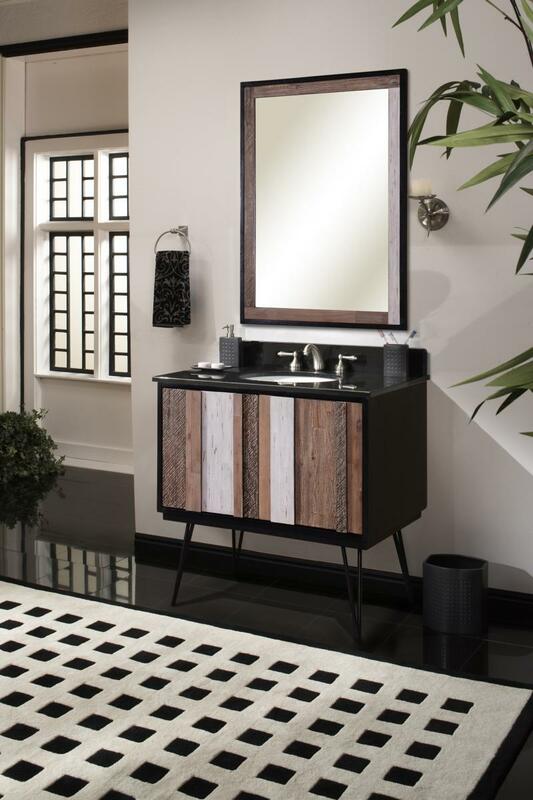 The Winterfell Bathroom Vanity Collection features multi-color vertical panels giving it a rustic, contemporary style. The vanity also converts into a wall mount for additional flexibility. The Verticali collection features ample storage, soft close hinges and integrated finger pulls. Fashioned triangular metal legs with adjustable levelers truly make this a unique collection. Removable legs allow for freestanding placement or wall mounted applications.